Amidst the outpouring of support for residents of Squirrel Hill, PA., Quebec's Muslim community has also extended a hand to their Jewish neighbours. 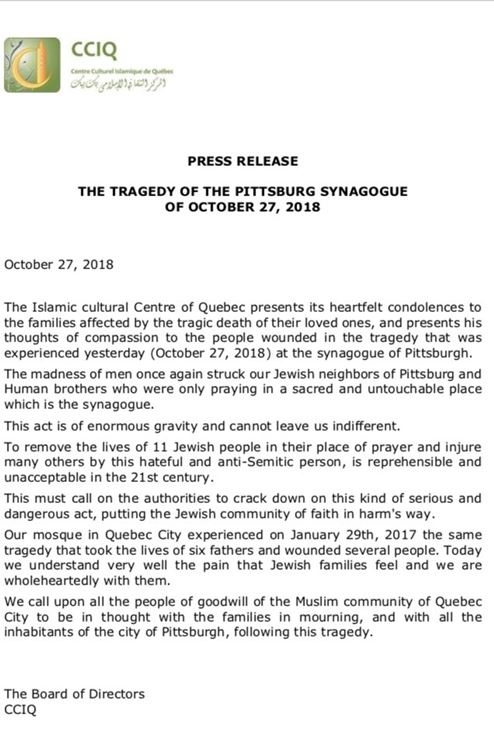 The Islamic Cultural Centre of Quebec expressed heartfelt condolences in an open letter following the murder of eleven congregants at the Tree of Life synagogue during a naming ceremony held on Saturday. 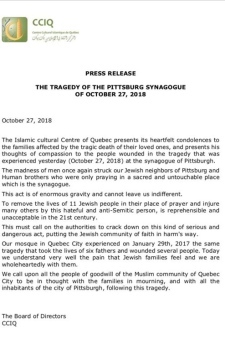 "The madness of men once again struck our Jewish neighbours of Pittsburgh and human brothers who were only praying in a sacred and untouchable place, which is the synagogue," the CCIQ wrote in the statement, issued Sunday. "To remove the lives of 11 Jewish people in their place of prayer and injure many others by this hateful and anti-Semitic person, is reprehensible and unacceptable in the 21st century," it reads. The suspect, Robert Gregory Bowers traded gunfire with police during Saturday's massacre and was shot multiple times. He underwent surgery and survived. 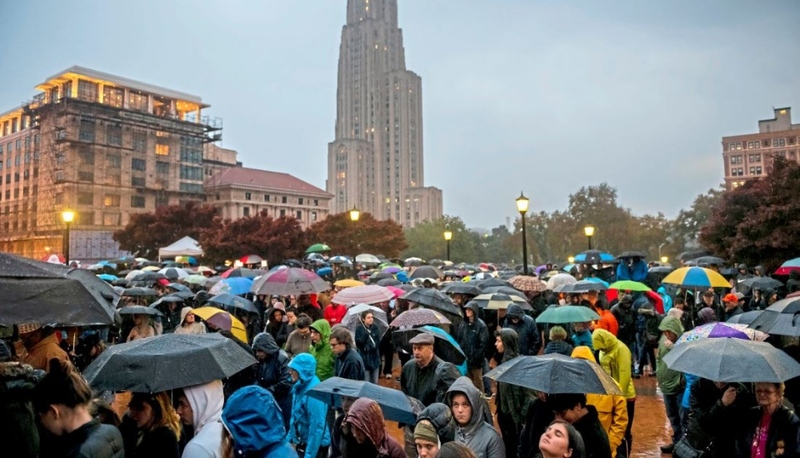 For members of the Muslim community, the events in Pittsburgh echoed an act of terror that took place closer to home. Centre co-founder Boufeldja Benabdallah says his first response was to contact members of the Quebec City Jewish community -- a small group that came to the aid of the local Muslim community when it was attacked. Six worshippers were killed and 19 others were injured in the January 2017 attack at the Quebec City mosque. "Our mosque in Quebec City experienced on January 29th, 2017, the same tragedy that took the lives of six fathers and wounded several people," the statement reads. "Today we understand very well the pain that Jewish families feel, and we are wholeheartedly with them." During a vigil held outside the Montreal Holocaust Museum over the weekend, Samer Majzoub of the Canadian Muslim Forum said the Pittsburgh attack opens up old wounds for Quebecers. "It revived the sorrow and misery of the Quebec shooting in the mosque," he said. "People who were shot because of their faith." 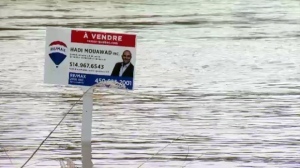 Muslims in the Montreal area have also reached out to the Jewish community through small, compassionate gestures. Shaare Zedek, a synagogue in NDG, received a single rose with a handwritten card, signed "your Muslim neighbours." This was sent to my synagogue in NDG, Shaare Zedek, according to the Cantor. There will be a special service this coming Shabbat. The full statement from the Islamic Cultural Centre of Quebec.